Explore the possibilities with the “Circular Attachment”. Learn to use the templates that come with it to create four or six petal shapes in your desired size. Embellish with decorative stitches. Its easy, fast, and fun. 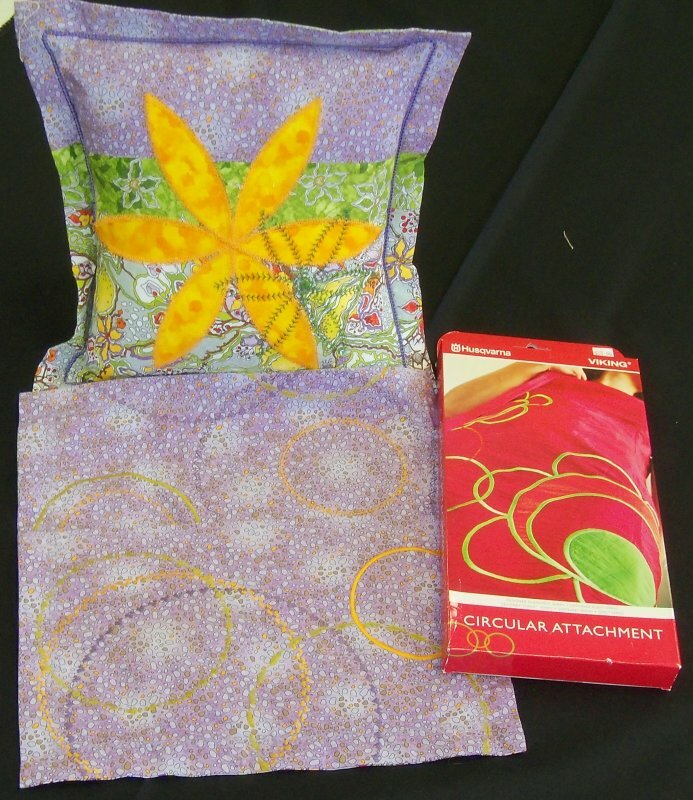 Try a new way of finishing a pillow with a flange and trim applied with the braiding foot.